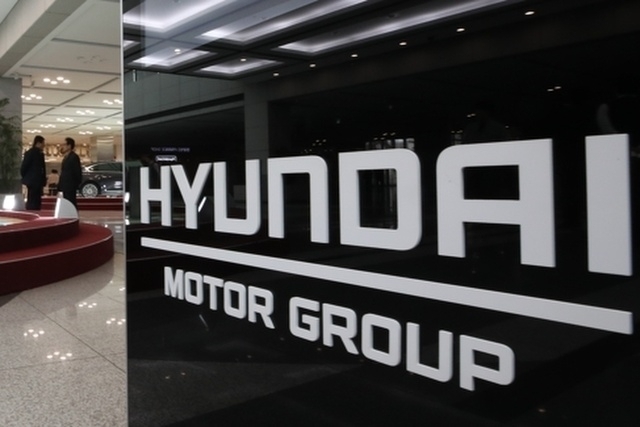 With sales of vehicles in China plummeting sharply since 2017, South Korean auto giant Hyundai Motor said Thursday that it was considering suspending operations at its manufacturing plant in Beijing. Plans to suspend Hyundai Plant No. 1 are under review because the production rate has plunged to 50 percent. The carmaker’s Beijing office has already relocated or slashed 2,000 workers as part of a restructuring process. But the suspension of the plant would not mean a shutdown, it said. Hyundai has five plants across China, while its sister company Kia has three as well as a separate manufacturing facility for commercial vehicles. Hyundai’s five plants alone are capable of producing 1.65 million fleets a year. After entering the world’s largest auto market through a joint venture in 2002, Hyundai underwent rapid expansion, surpassing the 1 million unit mark in terms of the number of fleets sold in 2013 and maintaining that level in 2016. The profitability of Hyundai’s China operations, however, is increasingly questionable, with declining sales bringing production rates down rapidly. Diplomatic bickering over Seoul’s decision to deploy a US anti-missile system also dealt a blow to the automaker, which saw its sales drop by around 20 percent to 820,000 units in 2017. The numbers declined further last year, recording 790,000 units amid a slowing Chinese economy and lower consumption. Aside from those external factors, market insiders say Hyundai’s position in the market -- sandwiched between cheap local brands and luxury German cars -- may have dragged sales down even further. Hyundai representatives in Seoul said despite sluggish sales in China, the plan to launch its luxury brand Genesis would proceed on schedule, but they did not mention the exact date. The company will also release one sedan and one sport utility vehicle designed exclusively for Chinese customers at the upcoming Shanghai Auto Show, they added. Some market observers think the Korean carmaker might even abandon plans to increase its profitability in China and instead turn its eye to emerging markets in Southeast Asia and India. Hyundai’s affiliate Kia plans to begin operating a manufacturing plant in India that will be capable of producing 300,000 fleets a year. Hyundai already has a plant in Chennai that produces 710,000 units a year, which would bring combined production figures in India to 1 million if construction of the Kia plant is completed in the second half. The company is also making inroads into Vietnam and Indonesia. In a joint venture, Hyundai plans to expand production of vehicles in Vietnam to 100,000 a year while also building a new plant in Indonesia in an apparent move to target both the Southeast Asian and Australian markets.